Crooked teeth are more common than you might think. In fact, three out of four children have crowded teeth – but it’s the severity of this problem that makes a real difference. While some overcrowding causes few problems, severe overcrowding can affect dental health as well as one’s confidence. However, crooked teeth needn’t be a long-term problem; at AP Smilecare, we’ve got the perfect solution. Simply put – if your parents had crooked teeth, there’s a good chance you will too. Some people’s mouths are too small for their teeth, causing overcrowding, while other have upper and lower jaws of differing sizes, resulting in an overbite and protruding teeth, which can ultimately cause them to grow crookedly. Conditions like asthma, and certain allergies, can also result in improper jaw development. The early loss of your adult and baby teeth can have a knock-on effect on the positioning of your remaining teeth, basically causing them to drift into the resultant gaps. In some cases, entirely new adult teeth can grow to replace these baby teeth, which then crowd the teeth already there. While some studies suggest that crooked teeth are a result of incorrect jaw development and hereditary factors, modern research suggests that our behaviours can impact the development of our teeth too. Habits such as thumb sucking and tongue thrusting can result in crooked teeth, and an open mouth posture. Thumb sucking in particular can put undue pressure on the teeth, which – given enough time – can eventually shift them into a different position. Your gums are the anchors for your teeth, which means that your gum health has a direct effect on the positioning of your teeth. 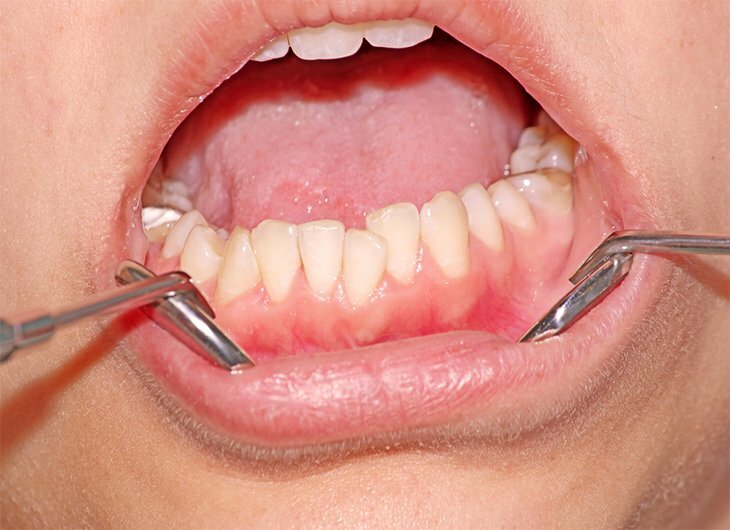 Gum disease in particular can severely affect their stability, causing them to change their alignment, and affecting your bite. Unlike thumb sucking, ageing falls firmly into the category of factors we can’t control! Over time, your teeth can drift forward in your mouth (and despite what you might think, it’s not necessarily the fault of your wisdom teeth). The main cause behind this is your jawbone, which loses its density as the years pass and gradually changes shape, allowing your teeth to crowd forward towards the front of your mouth. There’s a reason that gumshields exist for contact sports – even a glancing blow in a game of rugby or boxing can seriously damage your teeth. They might be knocked into a slightly different position, opening up the risk of serious pain or permanent damage – or even knocked out entirely. It’s why our experts at AP Smilecare do always advise wearing gumshields, and pull out all the stops in emergency dental situations. Even if you’ve had corrective action on your teeth, that’s not necessarily the be-all and end-all. Within a certain timespan, your teeth have an unfortunate habit of trying to correct themselves. A retainer, as the name suggests, helps to hold your teeth in position after surgery or treatment. It’s not uncommon for patients to forget to or neglect to wear them, with the result that their teeth can gradually go back to the crooked position they were in before. Why are crooked teeth an issue? Crooked teeth aren’t just aesthetically problematic; they can result in dental issues too. Overcrowded teeth can make keeping teeth clean a difficult and as a result increase the chance of tooth decay. What’s more, crooked teeth can also cause strain in the teeth, jaws and muscles. This increases the risk of tooth breakage. Routine trips to your dentist will help ensure that your crooked teeth don’t become a problem. At AP Smilecare, we offer a comprehensive service for adults and children and will be able to spot potential issues in children before they become a problem. During your routine dental check, we’ll check the alignment of your teeth and jaw, your bite, and discuss any other issues that you have, such as dental discomfort. Should you require braces for your crooked teeth, we’ll be able to help too with our wide range of orthodontic treatments. Our orthodontic treatments include Invisible & Invisalign Clear Braces and Incognito Lingual Braces. Both of which can deliver result in as little as six months. Best of all, our modern orthodontic treatments are almost invisible. Featuring the latest in design, our clear braces are suited to even the most self-conscious of adults. For more information on our orthodontic treatments, visit us for a free consultation. Keen to improve your smile? Whether it’s crooked teeth, discoloured teeth or the symmetry of your smile getting you down, our Smile Makeover service can help. After assessing your needs, we’ll provide you with a comprehensive plan to ensure that perfect smile you’ve always wanted.